Your company needs to look perfectly in social media. 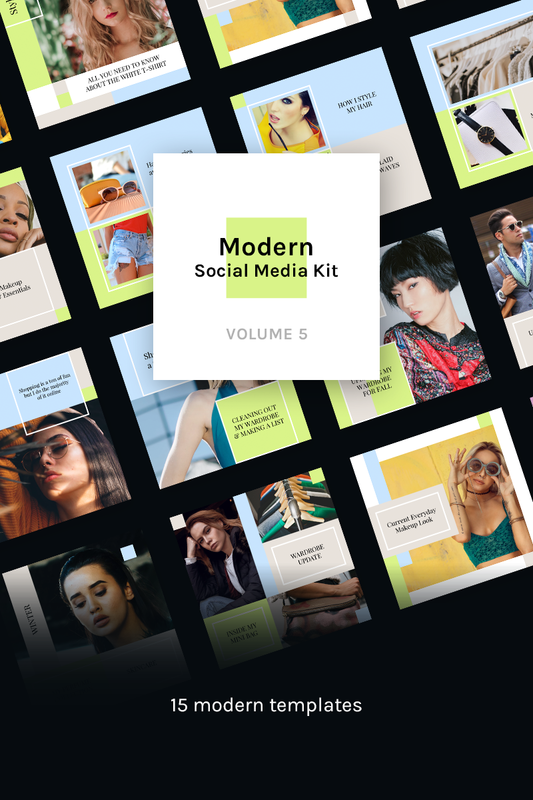 Modern Social Media Kit are templates for promoting your business. 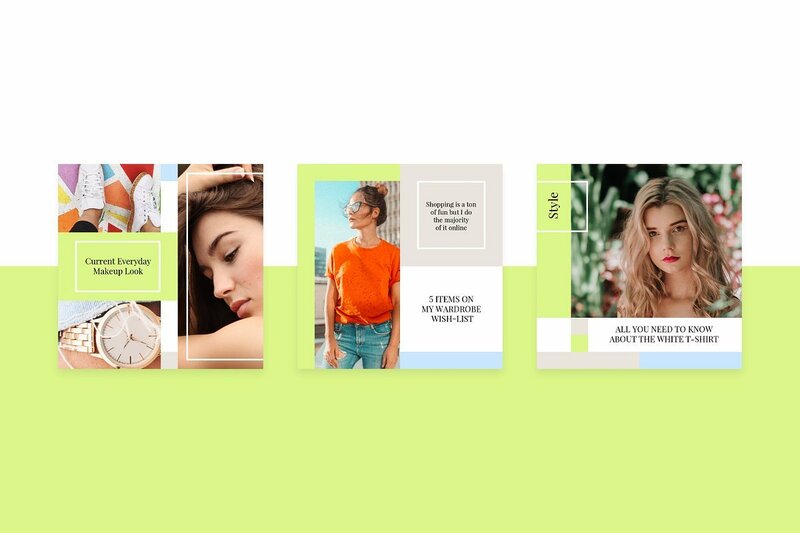 Upgrade your social media with the Modern Social Media Kit (Vol. 5). 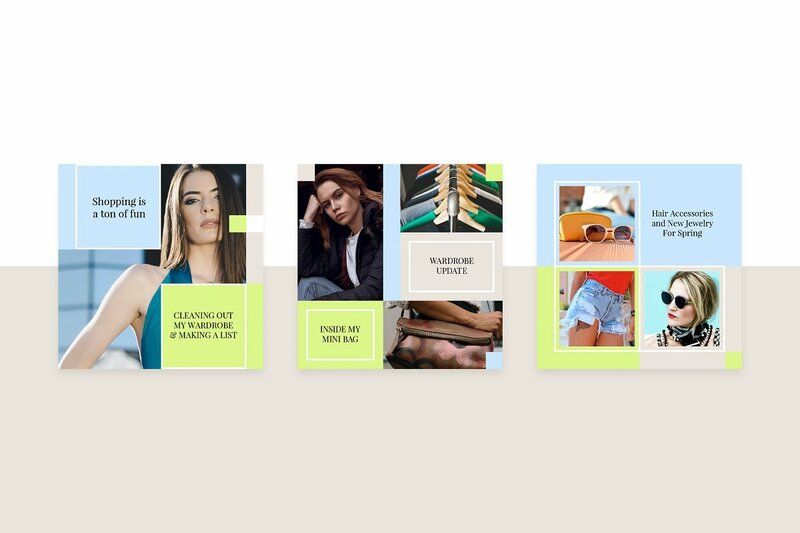 The pack contains 15 easy to edit, fully customizable pictures, created in Photoshop and designed to stand out of from the crowd. Designed for Instagram & Facebook. 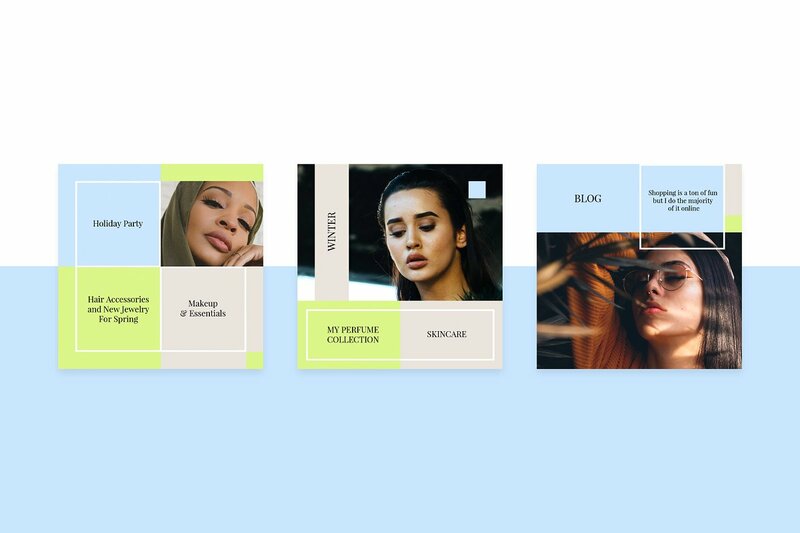 This pack is perfect for bloggers, fashion brands, lifestyle brands, magazines and creative business. Just replace the text and images, and share with your followers. It is so simple! 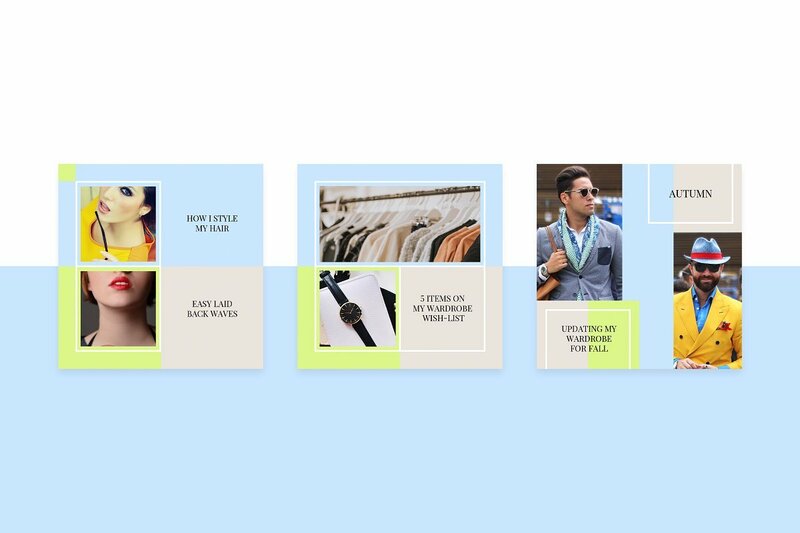 You can change the color, text, images and make any changes to the design. 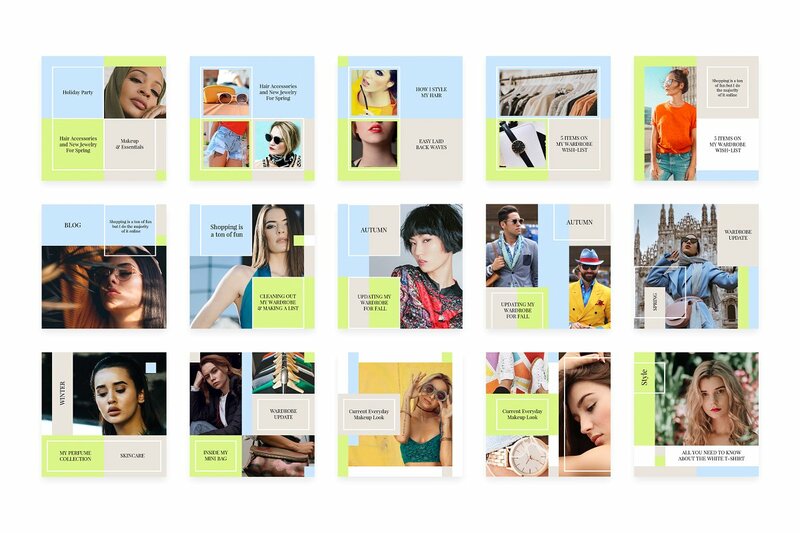 The pack contains 15 different templates.